NEXT EVENT: Not Scheduled Please check back for the next event. 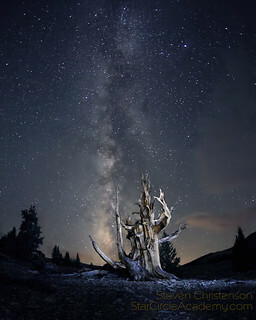 This 60 minute webinar is an ongoing series in photomanipulation featuring key topics in image processing for night photography. Each NP150 event is different. You'll see live operation of Photoshop, Lightroom and other tools and will be able to interact with the instructors to be sure you are understanding the tools and approach. When you register for this webinar you'll have the option to join with or without access to the recorded webinar. Recordings are generally available about two weeks after the actual event. Notes are included. A webinar is better than an online video since you'll be able to ask questions and influence what we cover during the event. Include the unlimited online video NOW for a 40% discount over purchasing it separately. See the answer to 1. Sometimes we have notes and make them available for free or at a small additional charge. How to quickly copy a mask for reuse. How to combine multiple elements into an interesting photo. The “Dust” Technique for Creating Star Masks (PS) so you can make those stars pop. 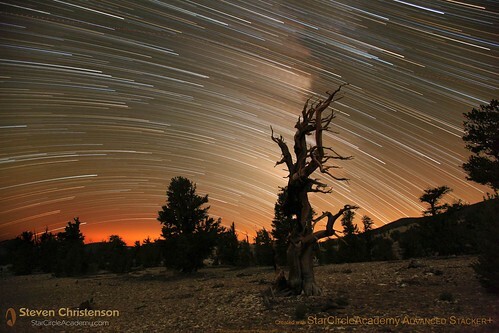 I would really into a webinar that covers all different skills on working on startrails and milky way. Are you planning for this kind of course? Moreover, this kind of class need pretty decent internet connection, right? 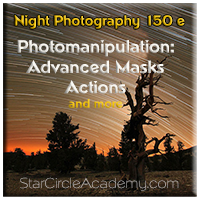 We have a Star Trails course, and many topics regarding processing images (NP150 is a series of different subjects). If you’re not sure if you have enough bandwidth, we recommend joining the Freebinar.